The anti-aging hair serum and vital energy hair mask are hair care products containing active ingredients able to repair the damaging effects of certain hair ageing factors. The magnolia and Lebanese cedar buds are the key active ingredients in these products which are enriched with regenerating plant active ingredients. The Lebanese cedar bud is rich in auxins (plant growth hormones). These play an important role in cell division and protein synthesis as well as in cell regeneration and tissue rejuvenation. Magnolia bud extracts also have antioxidant and soothing properties. These have an impact on microcirculation which improves the nutritional intake around the hair bulb. 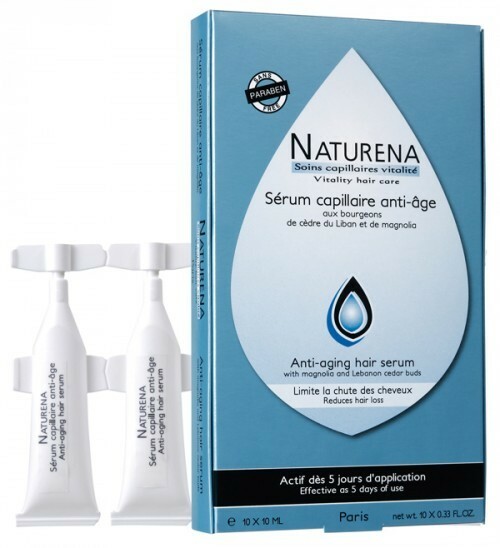 The effects of the anti-aging hair serum are visible from the fifth day of application. This hair care treatment improves the hair bulb anchors, allows a better penetration of the active ingredients and reduces hair loss. It is very easy to apply and only needs to be left for 5 minutes. The vital energy hair mask is a moisturising hair care. Its “double-action” hydrating active ingredient works throughout the hair fibre for immediate and long term effects.For the preparation of this regenerating hair care treatment, we selected an active ingredient derived from sunflower seed that can repair the oxidative effects caused by UVA. 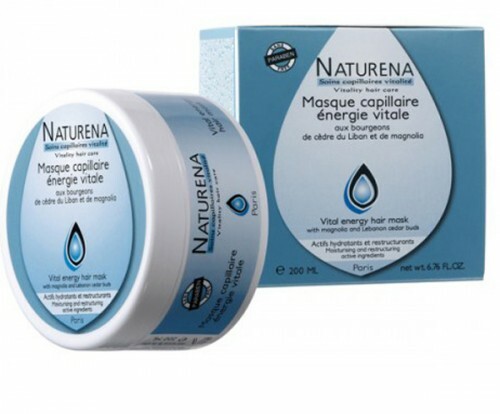 As the texture of the vital energy mask is very pleasant, this hair care becomes a treat for your hair. These hair care treatments with regenerating active ingredients for youthful hair are based on the combination of extracts of magnolia and Lebanese cedar buds and a complex of active plant ingredients. The Lebanese cedar bud is rich in auxins (plant growth hormones). These play an important role in cell division and protein synthesis. These play an important role in cell division and protein synthesis as well as in cell regeneration and tissue rejuvenation. The magnolia bud extract has antioxidant and soothing properties, it reduces the fragility and permeability of blood capillaries involved in the scalp microcirculation. The latter plays an important role in improving nutritional intake around the hair bulb. 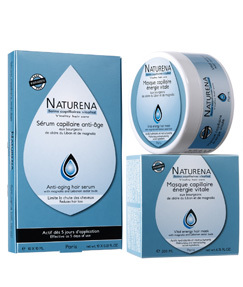 The anti-aging hair serum contains a complex of active plant ingredients. This complex has an impact on cellular regeneration, stimulation of microcirculation and on the hair follicle. It contributes to preserving the youthfulness of the hair system as a whole. The creamy and rich formula of the vital energy hair mask contains a targeted plant active ingredient extracted from wheat. This ingredient has a dual moisturising property both on the surface and at the heart of the hair. It also contains an active ingredient derived from sunflower seed which repairs and protects the hair against the cumulative adverse effects of UVAs. With the anti-aging hair serum, a reduced hair loss can be observed after having been applied for 5 days. The vital energy hair mask contains dual action active ingredients: hydration and oxidation which are key factors in youthful hair. These two hair care treatments for youthful hair contain active ingredients able to repair certain effects of hair aging.